It was so great to be able to sit down with each one of you and talk about your child! Thank you for taking the time to come in and share with me how the school year is going so far! 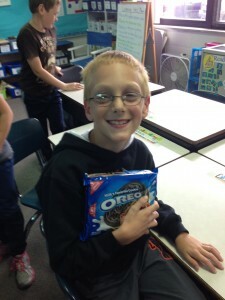 I absolutely know that I have the best fourth grade students in the building! This week has been a whirlwind of a week! We finished the rest of our MEAP tests! I know that we are all glad to be done! Math ~ We have started our new unit on multiplication. The best way that you can help your child be prepared for this unit is to practice, practice, practice those multiplication and division facts. Flash cards, oral practice and the ipad are all great ways to brush up on these skills. Reading ~ Each student has been assigned a reading friend with whom they are talking about the books that they read. We have had a few lessons on how to retell our stories in a brief summary and we have learned what it means to listen well. We are practicing the things that listeners do to show that they are interested in what the person speaking is saying. Writing ~ Almost all of us have completed our first draft for our realistic fiction stories and we will begin the task of revising them next week. Today was also our first raffle of the school year. 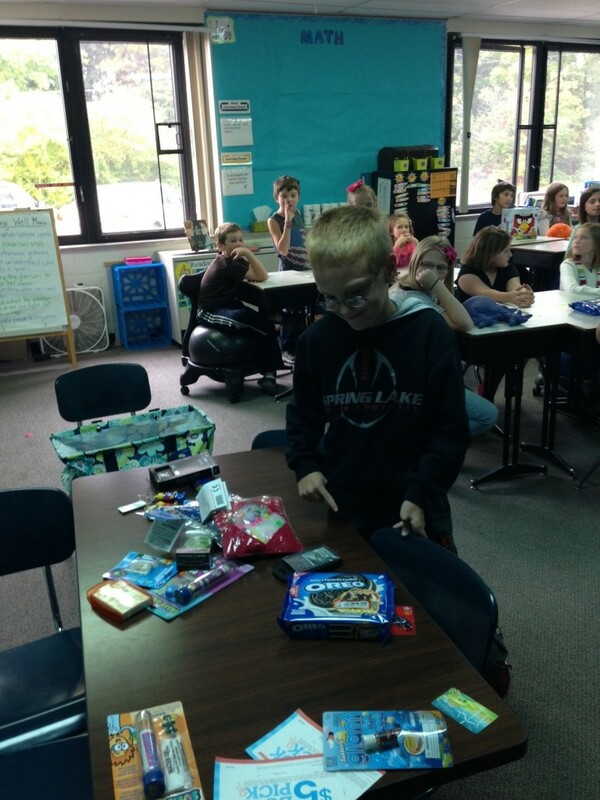 Students used the 4th grade money that they have earned to purchase raffle tickets! 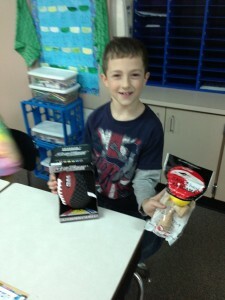 We had a lot of great prizes! Thank you to all of the parents that donated items and money for our raffle and a big thank you to Mr. Lannon for the generous donation of toys and sporting goods! Enjoy the long weekend….GO TIGERS! Education and law enforcement representatives team up to help parents understand risks of using social media and online apps. A free Digital Safety Parent workshop designed to help parents learn how to keep their children safe online will be offered by Ottawa Area Intermediate School District on Thursday, October 24 from 6:30-8:30 p.m. at the Educational Services Building, located at 13565 Port Sheldon Street in Holland. Participants will review websites commonly used by kids and provide information on cyber bullying among other topics. Other presenters include Stacey Sills, Health and Prevention Consultant for OAISD, and Martin Miller, Community Service Trooper for counties of Ottawa, Kent and Muskegon, stationed at the Michigan State Police Rockford post. Parents will leave the workshop with tools and resources to help communicate with their children about the risks they may face in the online world and social media. The Ottawa Area ISD works collaboratively with schools and communities to meet the educational needs of students in the Ottawa area. By pooling resources and providing services regionally, the OAISD provides important programs and services to local K-12 school districts and all charter, parochial and private schools in the most cost-effective ways possible. For more information, contact Anne Thorp at 616-738-8940 x4062 orathorp@oaisd.org. Whew! Day 1 of the MEAP test is done! Your children spent about 1 hour and 45 minutes completing Part 1 and 2 of the Day 1 Reading MEAP. My class worked hard and gave it their all!! Please make sure that your child gets plenty of sleep tonight, and send them with a healthy snack and a water bottle both Wednesday and Thursday. We are doing part 2 of Reading tomorrow and part 1 of the Writing MEAP test on Thursday. 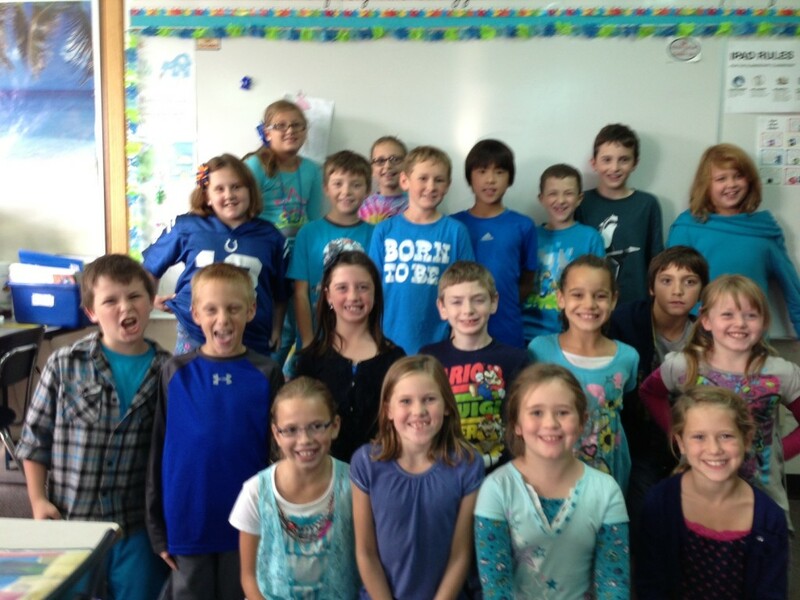 On Monday, we wore blue shirts to show our support to help STOMP OUT BULLYING. We talked about our “Be Nice” initiative for this school year. The weather outside sure makes it feel like it is still summer, but we have learned that the Autumnal Equinox occurs on September 21st, so we know that it is definitely fall! We are all excited to see the leaves TRANSFORM. We have had another great week in Room 16! I absolutely ADORE this group of kids! We have a lot of great things to share! Math ~ We have completed our first unit on rounding, place value, comparing numbers and solving multi-step problems. Students have also completed their first math test! Our next Unit will begin next week and will start with using area models to represent multiplication of larger numbers. Writing ~ Students have completed a story arc to help them plan each scene for their realistic fiction story. We have now entered the drafting phase! We have been working on writing long and strong, in other words we are building our writing stamina! Students have been very ENTHUSIASTIC about writing their realistic fiction pieces! Some of the stories are so funny that they are down right SIDESPLITTING. Reading ~ We have continued to work on selecting and reading “Just Right” books. A letter went home this week with lots of great information on the importance of reading at your “just right” reading level. We have also begun to review non-fiction text features in informational texts and have made screencasts to show what we remember. 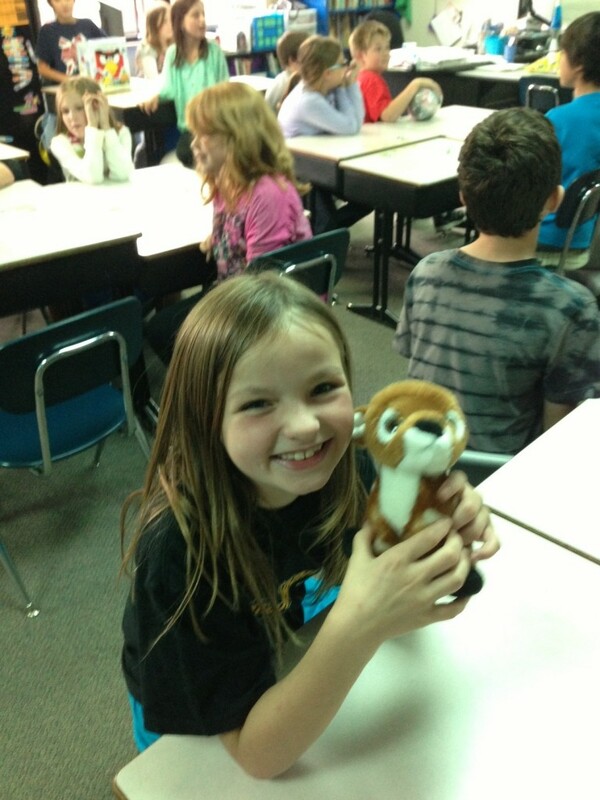 Students had to take photos and edit, or TRIM them to fit them into their screencast. They also had to tell how each text feature helps the reader. Students shared their screencasts with the class by using apple tv to project their work on the big screen. 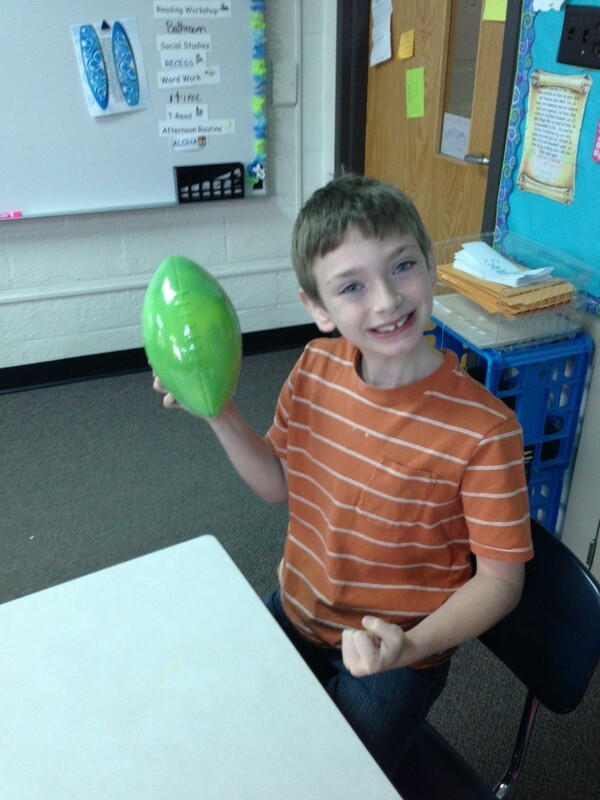 Science ~ We have completed our “View from the Earth” unit. Students will be taking a test over the information they learned on Monday. 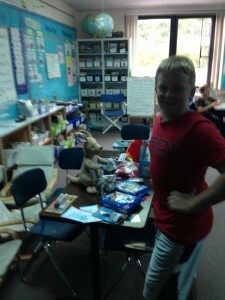 We have reviewed the material extensively in class and they are ready to show me what they know! We REMINISCed about our Oreo cookie phases of the moon activity and enjoyed watching the movie trailer about it. Have you noticed the words in bold? These are the six vocabulary words that we learned this week. Ask your child if they can use each one in a sentence! Next week begins the two week MEAP Testing window. 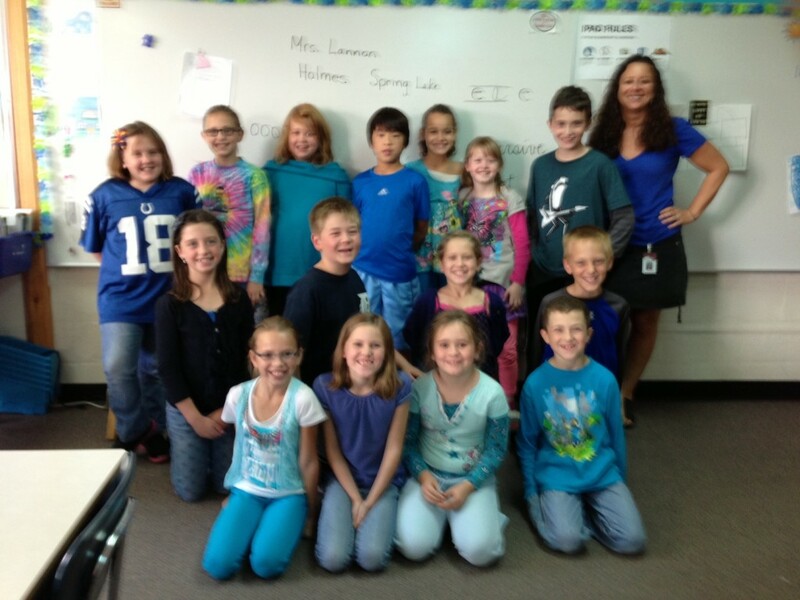 The 4th grade will be MEAP testing on Tuesday, Wednesday and Thursday next week, this is Oct. 8 – Oct. 10. It is important that your child is well rested and eats a good breakfast on these mornings. I also encourage you to pack a healthy snack for your child so that we can keep our brains energized! We will be testing for most of the morning and possible a little bit after lunch on these days. Homecoming is tonight! I hope to see you at the game, and remember to come early to watch the parade! Janie’s Cookie Orders are due today! If your child forgot to turn in their order please return it to school no later than MONDAY! 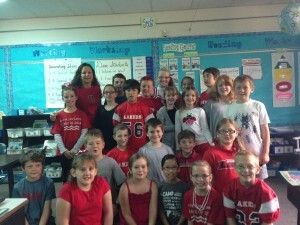 Friday, October 4, is Spirit Day. Wear your red/gray to show your spirit and support Spring Lake’s Homecoming. Monday, October 7, is World Anti-Bullying Blue Shirt Day. Wear your blue to show your support against bullying. Check out our Moon Phases activity.